Many people take the New Year as an opportunity to start something new or re-start a current venture with a clean slate. Business owners, for instance, take this time to declutter from the past year’s baggage. Some people repay debts much earlier, remove unnecessary clutter in the workplace, decrease operational costs and make resolutions based on last year’s learnings. Many business owners also take this time to outline what they want to achieve in the next 12 months and plot the marketing campaigns they want to employ to increase cash flow. Truly, the New Year is one of the best times to reflect, reorganize and restructure for the better. As most of your customers are also looking for something new to try this year, coinciding the implementation of these small but highly effective resolutions could help customers turn your way and stay. Here are some effective resolutions business owners can make this New Year. If you still don’t have a business plan, this is the time to make one. Industry experts highlight the importance of succession planning among small- and medium-sized businesses. Many of these partnerships and family-owned ventures fail miserable due to lack of foresight. Starting a business requires time, sweat and sacrifice. It is only fair that you set up a succession plan as early as you can. This is so you can have the liberty of choosing who to mentor and shape into handling the reigns when the time comes, instead of handing over your life’s work to just about anyone. Succession planning in family-owned businesses is tricky and family drama often plays a part. Having a succession plan in place will also give your potential successors the chance to learn the business and decide if entrepreneurship is for them. Finding a successor is not always limited by blood. “You don’t need a large human resources (HR) department to address the challenge of succession planning. One of the most critical responsibilities of any business leader is to pose and answer some basic questions to put the business in a better state of readiness,” said Chris Mead, Hay’s regional director in Singapore and Malaysia. Hay’s is one of the world’s leading recruiting firm. Regardless of industry and business size, it is important to identify the critical roles people play in the organization. Listing down the potential candidates and analyzing what capabilities they have and don’t have are vital. “A succession plan helps to ensure the orderly transfer of a business from the current owners and founders to the next generation,” said Kahler Financial Group president Richard Kahler. Succession planning is a tiring and long process. If you haven’t started one, take this opportunity to sit down and gauge the best candidates who can take your business to the next level in the near or distant future. As with many people, improving and managing cash flow is always part of a good New Year’s resolution. Many people don’t want to bring last year’s debts into the coming year. However, it’s not always an easy feat to take your debt list and wipe it clean in time for the New Year. This is especially true for many businesses who have a long line of credit. But that doesn’t mean you don’t need to check the books to see how you can improve your cash flow in the coming year. A steady growth rate and increasing sales often carry the risk of pre-spending projected income which can lead to more debt. This New Year, sit down with the books and see which departments need boosting and which ones need cost-cutting. Creating a 12-month plan with regular checkpoints can help you manage your future expenses and revenue. Is there a potential niche market you want to reach this year? Or is there a particular new product you want to try out? Do you want to open a new branch office in a new location or a new country? Moreover, do you want to start an entirely new business? Whichever you choose, the New Year should come with an expanded vision for your business. Diversification is a powerful tool that can help you create multiple sources of income, increase profit margin and bring in sales even during rainy days or seasonal slumps. The Walt Disney Company is one of the best examples of successful business diversification. The company started out as an animation studio but post-World War II, the demand for film-making services decreased. The company ventured into other market segments such as film, radio, television, merchandise, vacation spots, music, cruise ship travels and more. Eventually, the company creatively integrated all their business and became a brand powerhouse. Many successful people share similar daily habits, some of which include waking up earlier, following a routine and dealing with tough tasks firsts. The habits that increases a person’s productivity rate is often subjective. One size doesn’t always fit all. However, looking closely at the many similar habits and traits of the most successful entrepreneurs, there are recurring themes that propel their growth. First off, they know the importance of knowing their strengths, weaknesses, priorities and limits. In essence, they are constantly self-aware. Secondly, they know that the most important factor in the success of their business is, actually, themselves and they spend a lot of time and even resources to continuously monitor their current standing and look for ways on how to improve. Lastly, successful people are generous not only with their money, but also with their time and learnings. If you research on the most successful business owners around the globe, you’ll notice that their personal philosophy is always present in the every interview, speaking engagement, and book and in almost every media they use to share what they have learned. This New Year, include personal growth in your 2016 plans and include these three themes. Dedicate a specific a checkpoint in your calendar year to analyze what discoveries and learnings you have gained per quarter. Then constantly look for ways and opportunities on how to improve in order to become who you need to be to effectively lead. Starting and owning a business is much like role-playing: you need to live the part. There is often a “disconnect” if your business clashes with your beliefs, lifestyle and passion. This gap can potentially lead to detachment and eventually failure. Many experts believe that starting a business should be centered on your own personal interests and passions. The more interested you are, the higher the chances of success and growth as these are fueled by your own personal desires to become better. “Passion is an energy. It makes you feel alive. You can’t help yourself, you can’t stop what it is and it is the thing you can’t stop talking about. Passion is something very personal,” said Naomi Simson, Live What You Love author and founding director of RedBalloon, an online gift-giving company. 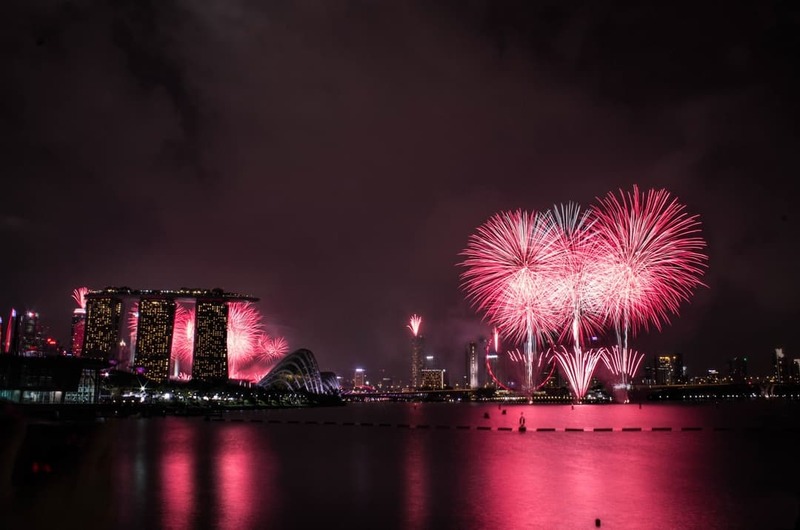 Singapore is one of the top countries to jumpstart your entrepreneurial journey. The country is teeming with venture capitalists looking for the next big thing. If you are planning to transform an existing passion into a business venture, the New Year is a great time to envision who you need to be and research about similar success stories. If you haven’t started earning money from your passions, the New Year is also a great time to plan how you can diversify and launch a totally new income-generating venture. This particular time manages to make people think and plan ahead so make sure to maximize the short-lived New Year buzz. And when you do, give us a call so we can help you setup your business in Singapore.